This gorgeous spirit box will come blessed and filled with MY choice items to call and honor the spirits and guides residing around you. Box measures 5 x 3.5 inches and is incredibly detailed. 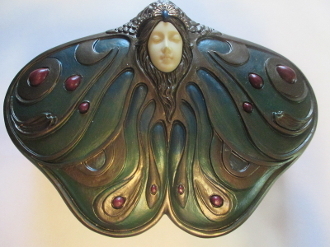 Let this etheral an mystical box adorn your altar and draw the spirits to hear your goals.